We are pleased to announce that the annual Advanced Bionics (AB) sports scholarship scheme is currently open for applications. Advanced Bionics innovations let you fully live your life with no limitations. From sandy beaches to snowy mountains to muddy fields, AB recipients can enjoy the best possible hearing anytime, anywhere and during any activity. If you are passionate about playing sport, have an important competition coming up or even want to encourage other cochlear implant recipients to play sport, then why not apply for funding through our sports scholarship scheme? You don’t have to play sport at a competitive level to apply, anyone who plays an individual or team sport at any level can apply. All we ask is that you are passionate about playing sport and willing to promote sport to other cochlear implant recipients. In 2017, AB proudly supported Rod Oaten, who competed in The World Deaf Golf Championships in Copenhagen. 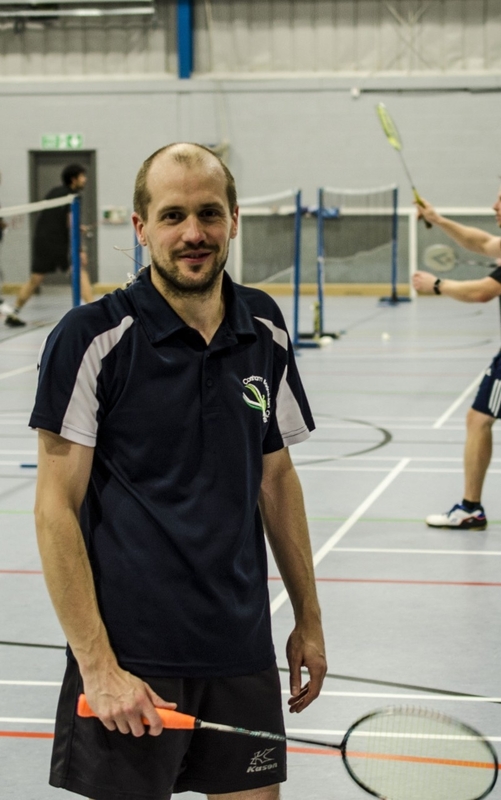 And in 2018, AB proudly supported Peter Warman, who competed in the 8th European Deaf Badminton Championships in Trencin, Slovakia. The winner will need to be willing to share their story with others and happy to supply photographs and updates that may feature on the AB website, social media and other promotional materials. The sports scholarship is open to any AB cochlear implant recipient in the UK and Eire. If you are under the age of 18 years old, you must have consent from your parent/guardian. Which Advanced Bionics devices and accessories you use? Why you are applying for the scholarship? How much funding you would like? What you would like the funding for? Please limit your application to no more than 400 words. The deadline for applications is 14th December 2018.
Who is eligible for the sports scholarship? Any Advanced Bionics cochlear implant recipient from the UK or Eire. Can under 18 year olds apply? Yes the sports scholarship is open to under 18 year olds however all applicants under the age of 18 years must have parental consent when applying for the scholarship. The scholarship application process is currently open. The scholarship deadline is 14th December 2018. Is there a word restriction on the application email? What sports and ability levels are eligible to apply? You can play any sport (individual or team sports) at any level, competitive to beginner. The Advanced Bionics sports scholarship panel will decide who will receive the awards based on the application submitted. Will the winner be used in Advanced Bionics marketing initiatives? The winner will need to be willing to be photographed/supply photographs for promotional purposes and willing to take part in promotional activity. Advanced Bionics may feature the winner’s photograph/profile/story on the AB website, social media and other promotional materials. The winner will be required to sign an Image and Author Release form. Who do I contact, if I want more information? Please email info.uk@AdvancedBionics.com if you would like further information about the sports scholarship.